• Improve balance: Indulging in Tarifa paddle boarding is a great way to improve your body balance. Tarifa paddle surfing requires you to stand upright on the board, increasing your focus, core stability and balance in everyday activities as well. • Complete body workout: As you undertake Tarifa downwind stand up paddling, your entire body muscles come into action. Leg muscles flex to maintain center of gravity, while the arms, shoulder and back muscles help in propelling the paddleboard in water. In addition, the back and abdominal muscles help in maintaining balance. 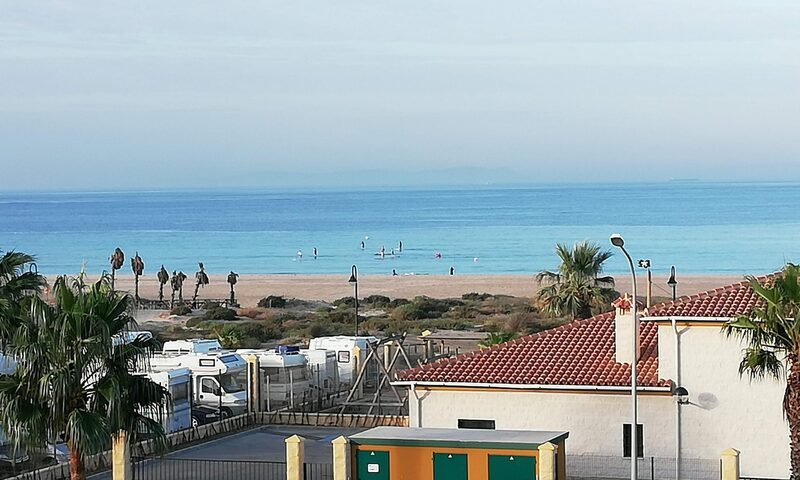 • Decreases stress: Tarifa stand up paddle tours allow you to experience the vast expanses of surrounding sea and the amazing feeling of walking on water. The rhythmic stroke and peaceful sound of water helps to bring down stress levels. • Improved cardiovascular health: Tarifa paddle board technique is quite similar to aerobics and cross-fit training. Thus, it helps to lower the risk of heart diseases and improve the overall cardiovascular health. • Increases endurance: Tarifa downwind paddle boarding in Tarifa is a great way to improve endurance. As you begin to master the technique, your balance starts improving and your body doesn’t become as tired. • Low impact: This is a very low impact exercise and doesn’t hurt your muscles and ligaments. It is especially helpful for athletic runners who frequently experience pain in their keens, back or hips and are looking for some lighter form of exercise. There are a plenty of Tarifa stand up paddle tuitions from where you can learn Tarifa stand up paddle courses to learn the technique of stand up paddling. They offer a variety of courses, starting from beginner to more advanced ones. These academies also offer inflatable stand up paddle boards on rent, if you wish to undertake any Tarifa stand up paddle excursions. SupTarifa offers extensive Tarifa advanced paddle boat lessons under the expert guidance of their trained professionals. It is one of the best places in Tarifa to learn stand up paddle and indulge in this amazing and exciting activity.